​There are things happening; there are ideas in early planning; there is brainstorming. ​We are ready for your input and action! Please reach out any time with your ideas. ​On Saturday March 9 at 3pm, the Alumni Association will ice a team to take on the NHL Legends. 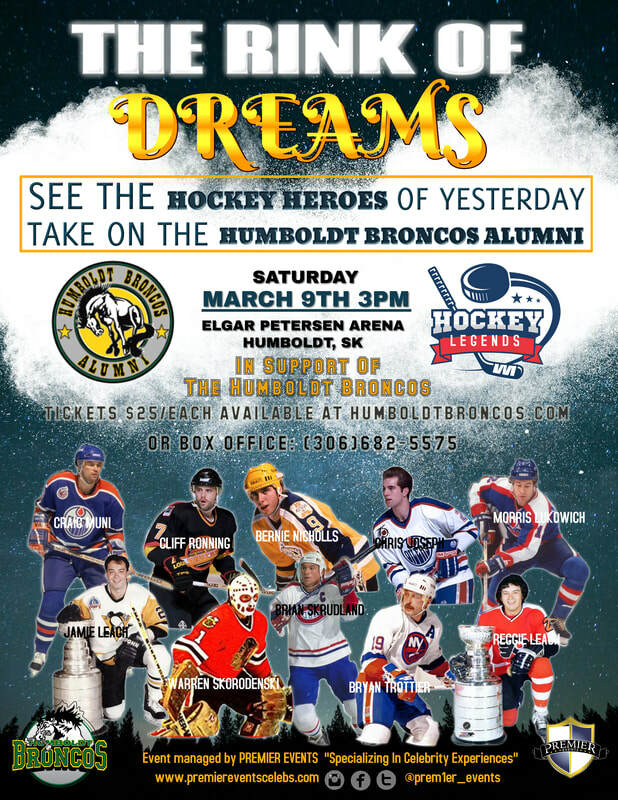 The Rink of Dreams event will be at the Elgar Petersen Arena in Humboldt. The game is the centrepiece of a weekend celebration of hockey in Humboldt, along with a Celebrity Sportsman Dinner in support of the Humboldt Broncos and Humboldt Minor Hockey Association. At least 50 alumni attended the Broncos Home Opener on September 12 2018. That was an important night, and all who attended were deeply affected. We plan to make the team’s Home Opener an alumni tradition, with socializing and community connection. Come on your own, come with your team, just come along and support the players as they take home ice for the first time each season. 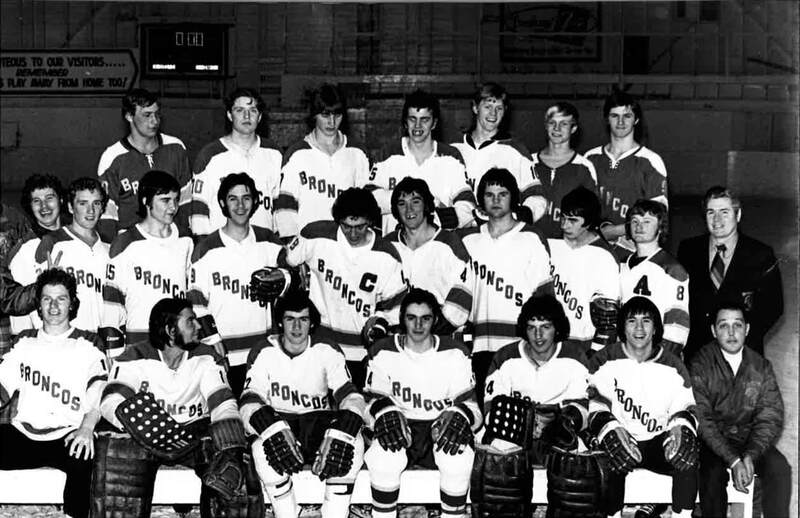 On September 11 2018, the 1972-73 team gathered for a reunion in Humboldt. Fifteen guys felt immediately at home together, replaying stories (some of which actually happened) and sharing a great evening with spouses and guests. The next day people visited billets, toured the town, and then attended the Home Opener together. It was an exceptionally great couple of days. Are you interested in getting your team together, around next September’s Home Opener, or at some other time? We are happy to help get the ball rolling! The Humboldt Broncos Memorial Golf Tournament is an important fundraiser for the Club. This will be a great opportunity for alumni to gather and contribute. More details to come. ​This is an event in the idea stage. What would you think of a Green and Gold tournament, with players from all eras competing for a newly-inaugurated Elgar Petersen Cup? Could be an absolute blast! If this is something you’d like to pursue, we would love to hear from you. All we’re missing is a team of people who will make it happen.